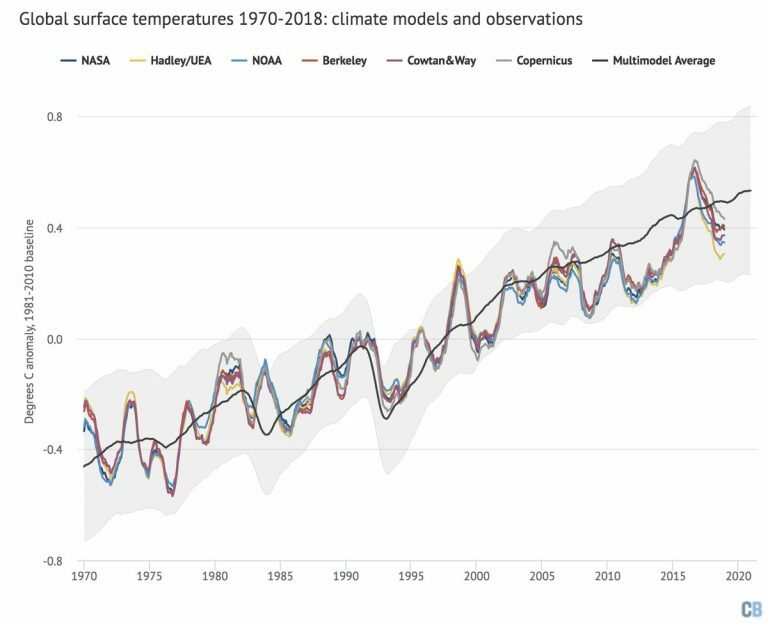 observations, ref Professor Judith Curry et al, (not big Al) then no matter how beautiful the model -it’s wro-ong. Or you can fix it like GISS does. Every year their graph of temp observations morphs closer and closer to the models average estimates. I do not see anything wrong in running averages or in the choice of the baseline. The question is, why Zeke’s graph does omit the period prior to 1970 (where the agreement with measured data must have deteriorated – my guess, I did not calculate it). It would be a real triumph if the result agrees with measured data in the whole range of simulation. But it would be shameful if the correspondence is only transferred to another part of the graph and the rest of the graph is dropped? udoli, note that most of Zeke’s result comes from using two different baselines for anomalies. 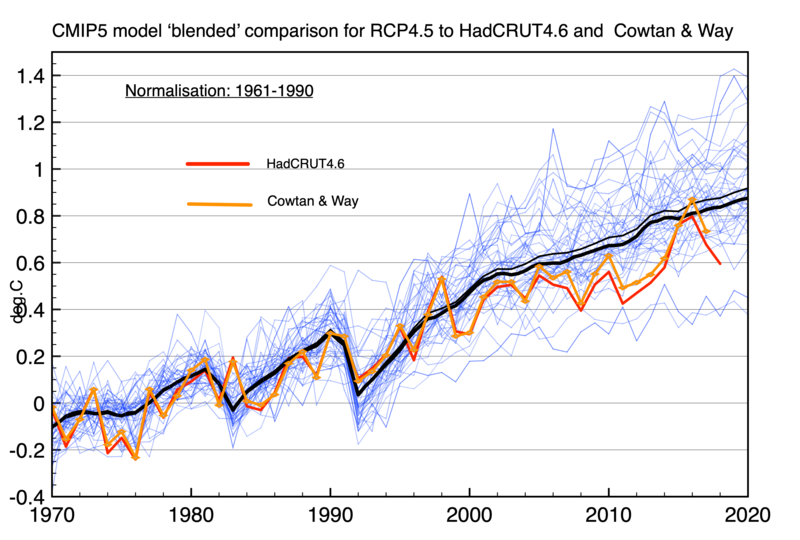 Hadcrut uses 1961-1990 while he shows CMIP5 models on 1981-2010. The latter baseline is higher, so the anomalies are reduced. The models estimate GMT in Kelvin degrees, so it is simple to put them on the same baseline as observations, which Clive has done. A true comparison requires normalizing to the same standard. Putting all data on the same baseline (either one) shows what Clive shows. Zeke’s trick is clever, eh? 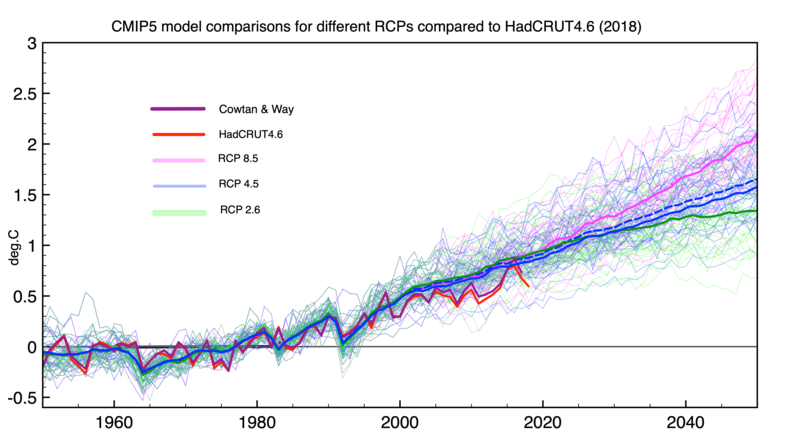 On your other point, remember CMIP5 models are hindcasting from 2005 backwards, and forecasting from 2006 to 2100. Since most models are tuned to rising temperatures from 1976 to 1998, they fail to replicate the decrease 1946 to 1976. You are basically right. Nevertheless, my idea was that the change of the baseline is manifested only in a change of all the simulated data by a constant. In the situation when the individual models differ in units of degrees from each other the shift by a constant is meaningless in my eyes: almost the same would happen if some of the authors of the models did not produce any calculation at all. The whole technique is based on the idea that the absolute value of the temperature has little value – what matters is the derivative, which is gradually added up (integrated) to yield the result. I have no problem with a constant in this difficult situation _IF_ it does not hurt the agreement with measured data in the left part of the graph – which was UNFORTUNATELY omitted in Zeke’s graph. In principle, the graph of any simulation should have three parts: The leftmost part where the calculation would take the boundary conditions for the calculation; the middle part where the simulation would prove the validity of the algorithm by replicating real-world data which were not taken into account previously; and the rightmost part where the forecast is done. It seems to me that Zeke takes the second part as the baseline leaving out the left part of the graph. I cannot get rid of a suspicion of a philosophical mistake. udoli, I take your point. 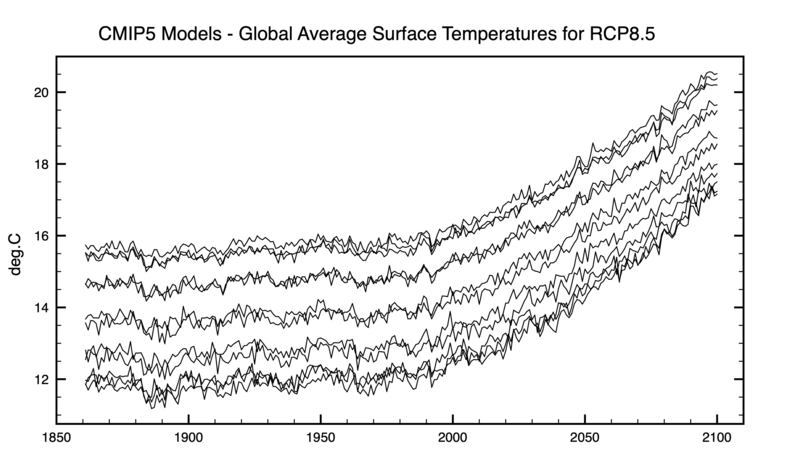 Zeke’s graph starts in 1970 because prior to that observed temperatures were falling, not rising, and divergence from the models would be obvious. In fact they were falling and stopped only in 1977, a fact hidden by the averaging. As I said above, Zeke’s graph misleads in all time frames by not putting model estimates on the same baseline as observations. 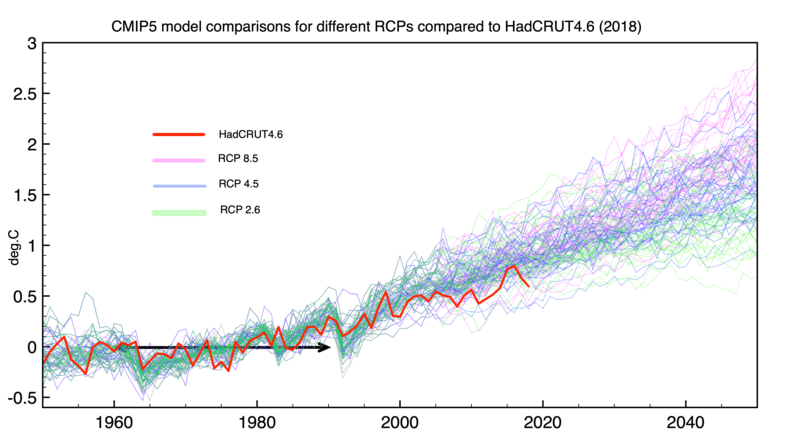 The issue is not comparison between models, but how models compare to observations. 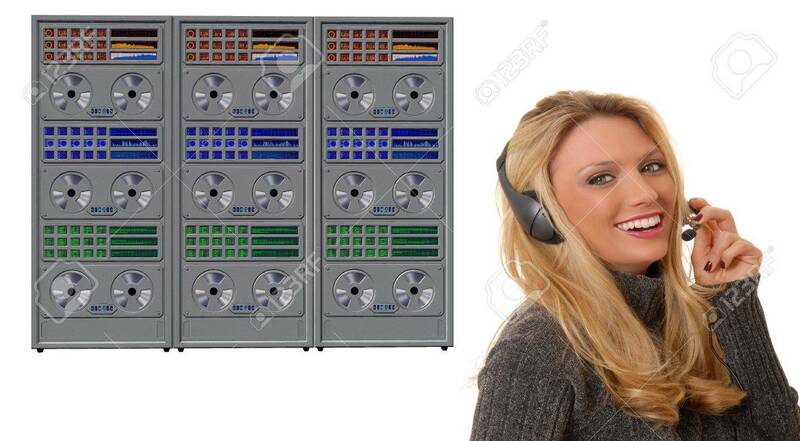 When observations and models,don’t match, add-ustments required, ’tis the cli-science method. 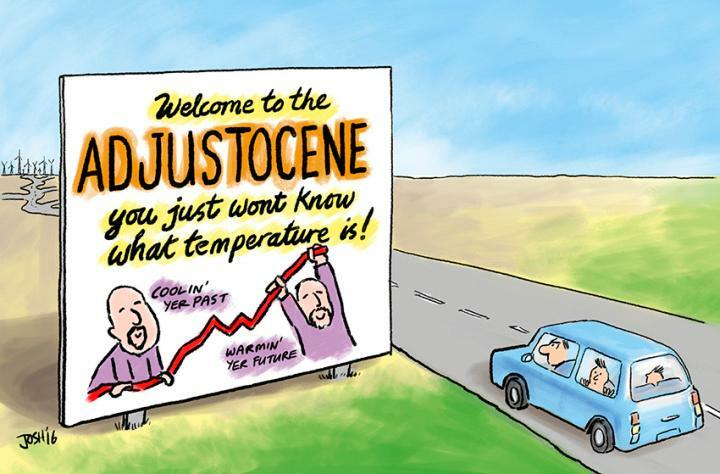 What leads generally good people to believe so strongly in the climate consensus that they turn off their critical thinking skills? hunter, my guess: The instinct of the herd is to fear the future and blame someone. When you’ve so much invested in an outcome and the FUD sales puffy is falling you have to make your data look good – no matter how far the truth is stretched.